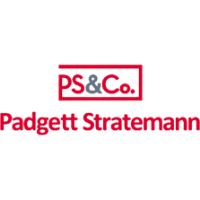 Charities rely on technology as much as anyone, and CPA firm Padgett Stratemann & Co. wants to help them fulfill their missions by donating laptop computers the firm no longer needs. The firm encourages San Antonio-area non-profits to apply now for laptops to be awarded to deserving organizations this spring. Padgett Stratemann’s Computer Donation Program donates gently used laptops to non-profit groups across the South and Central Texas area twice each year. The program, begun in 2010, has provided more than 325 laptops to nearly 200 Texas-based non-profits. Padgett Stratemann donates the computers to help organizations modernize their information technology capabilities, a need that is often unfulfilled due to budget constraints at many of the organizations. Helping organizations that devote their time to helping others has always been a mission of PS&Co., and donating gently used computers to those who need them most supports that focus. Organizations can receive up to three gently-used laptops to better assist them in their daily activities. The goal is to recycle laptops that are functional and help the community at the same time. The spring application process closes on April 29, but applications are accepted year round. A full explanation of the program, including the application form, is available at www.padgett-cpa.com. Nonprofit organizations desiring to participate in the program must have 501(c)(3) status from the Internal Revenue Service and must have been in business for a minimum of five years. Donations consist of gently used Dell Latitude E6420 and Dell Latitude E6430 laptops and computer bags. Computers range from one to three years old and are put through testing by the firm's IT team to ensure operational excellence. Maximum of three laptops are distributed per organization. Donated computers are not available for resale, trade, or auction. The donation program is offered semianually. A new application must be submitted each session. Applications are considered disqualified if the application itself is incomplete or if any of the required supporting documents are missing. Past award recipients are ineligible to submit an application for the session immediately following the one in which they received computer equipment. After that point, they are eligible, once again, to participate in the program.